The Supreme Court decided to examine in detail the issue whether a Court can permit a person to get rid of a constant torture called life when it has become an unbearable burden without any hope. The Court appointed a panel of three doctors to examine a woman called Aruna, who is in coma for last about 38 years and is only clinically alive. Aruna, a nurse by profession is confined to bed after being raped by a ward boy who is already free after serving a sentence of seven years. The Supreme Court has been approached by a third party seeking permission for the life of Aruna to end. Suicide is an offence under Section 309 Indian Penal Code and no one is permitted under law to take his or her own life. A two-judge bench of the Supreme Court had once struck down Section 309 IPC on the grounds that it is atrocious to subject a man to criminal prosecution who is already fed up with life. The judgement was, however, set aside by a larger bench of the Supreme Court. 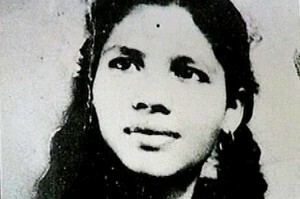 Earlier, the Supreme Court had refused to permit Aruna to die and had directed the state to take care of her. The doctors’ panel will submit its report to the Supreme Court on the issue whether there is any hope of revival of Aruna.